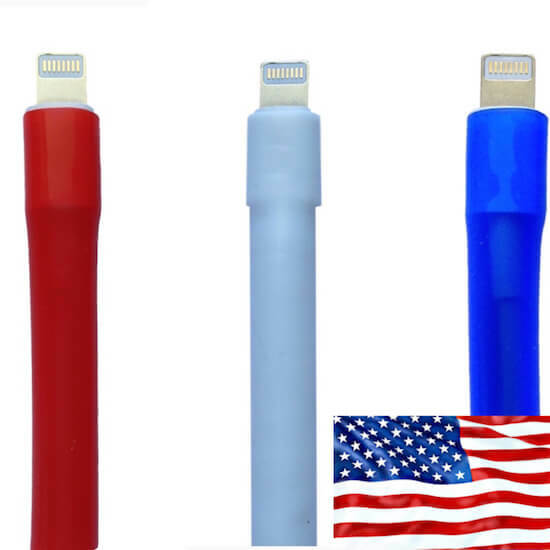 Protect your chargers while showing your patriotism with the Red White and Blue, pack of 3 CordCondoms. Americans have been known worldwide as the people who could make products that are built to last. We at CordCondom follow this ideology by helping everyone have more reliable charging cables that are dependable and there when you need them to be. Roll up your sleeves, Roll on a CordCondom and Get 'er done. ordered these on 4th of July as there was an independence day sale. 2 months later they’re still working great.